NEOSHO, Mo. — Officials at a city in Missouri have decided to refuse a prominent professing atheist organization’s request to remove a cross display from a public park. 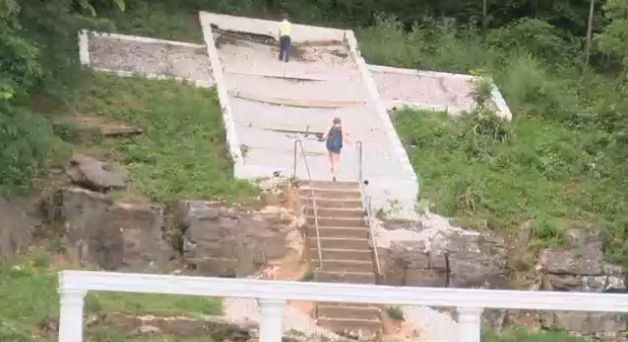 The Wisconsin-based Freedom From Religion Foundation (FFRF) sent a letter earlier this month to the mayor of the city of Neosho, stating that it had been informed by a complainant that a cross figure lies on the side of a hill in Big Spring Park. It asserted that the figure violates the U.S. Constitution because its public location sends the message that the government endorses Christianity. The organization also opined that the cross snubs those who are not Christian. “The cross has an exclusionary effect, making non-Christian and non-believing residents of Neosho political outsiders,” the letter said. It asked that the cross be removed from the park or moved to private property. However, once residents of Neosho heard about FFRF’s effort, many urged officials not to cave to the Church-State separation group. The cross has been in place since 1930 without complaint. “In fact, all day today I got texts and messages and e-mails and calls saying, ‘Stand strong. Keep the cross,’ and so that’s what we’re going to do,” Mayor Ben Baker told Action 12 News. City council members agreed, voting to keep the cross at the park. It said that FFRF failed to note that Eighth Circuit case law would affirm the legality of the display. “It is the position of the city council that the correspondence forwarded by this organization was deficient in identifying authoritative case law within the Eighth Circuit, and is further of the opinion that, in fact, controlling case law would support the continued presence of the cross within the park,” city council said in a statement. “Therefore, it is the unanimous opinion of the city council that the City of Neosho will not remove the cross or take any other actions which in any way compromises the long standing history of our city,” it said.